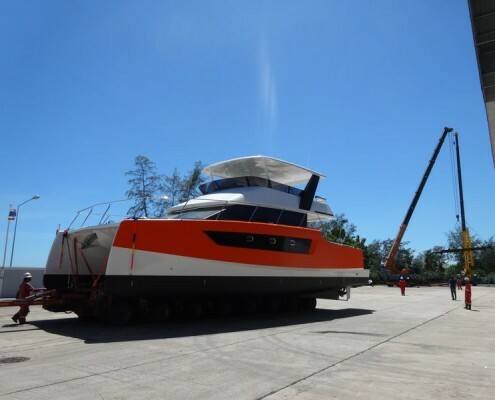 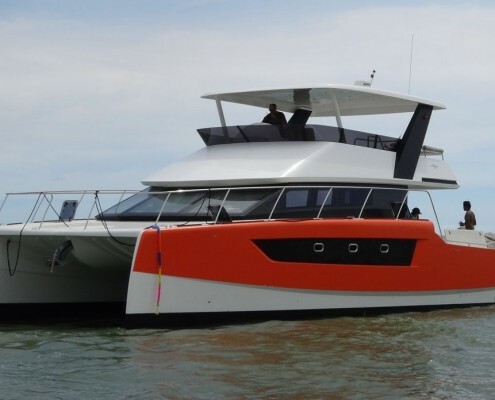 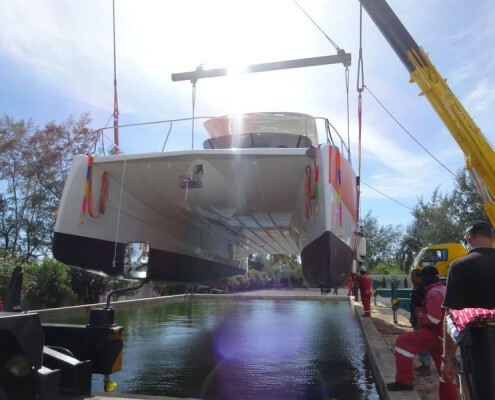 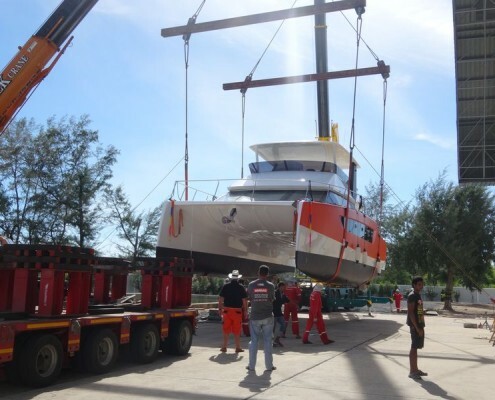 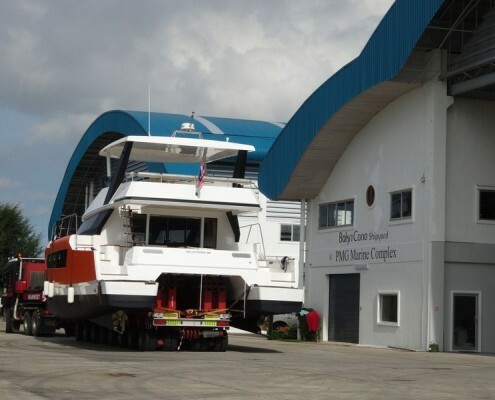 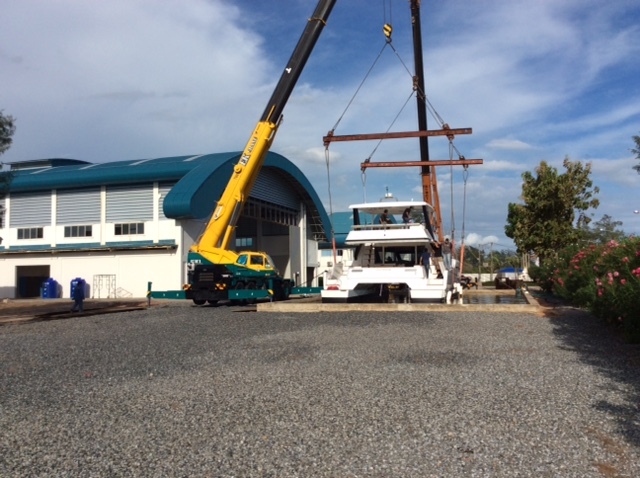 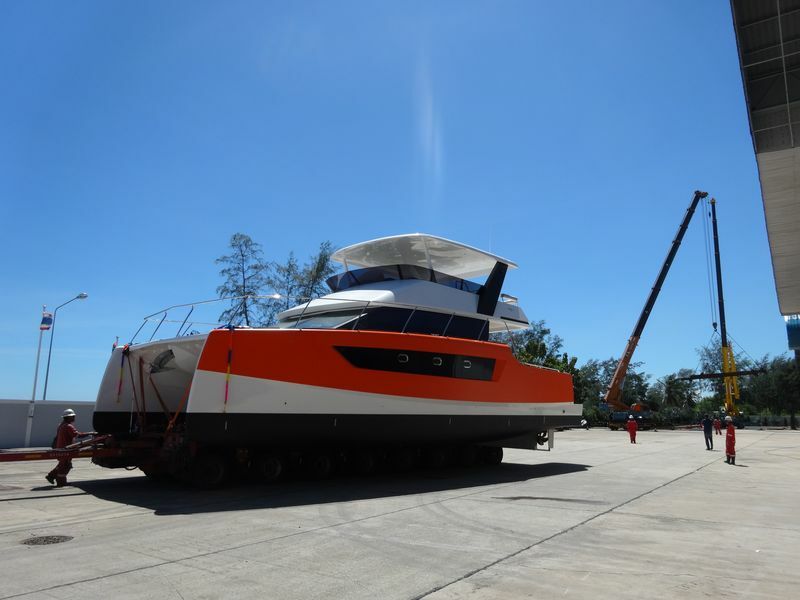 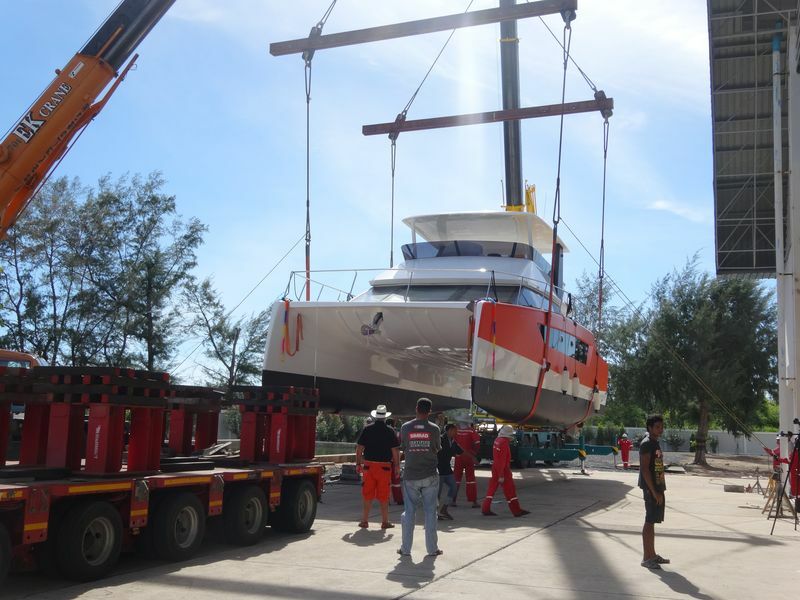 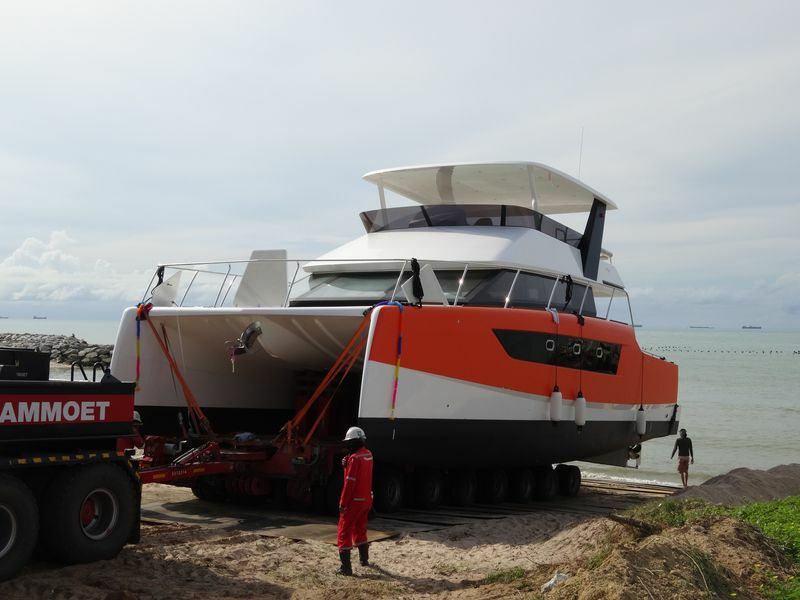 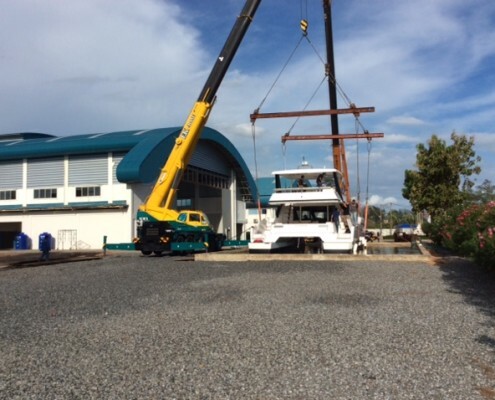 Mid-September the New Heliotrope 48 Space – Grace – Pace, after going thru extended tests in our Trial Basin was launched successfully at PMG Marina complex via its private launching ramp into the sea. 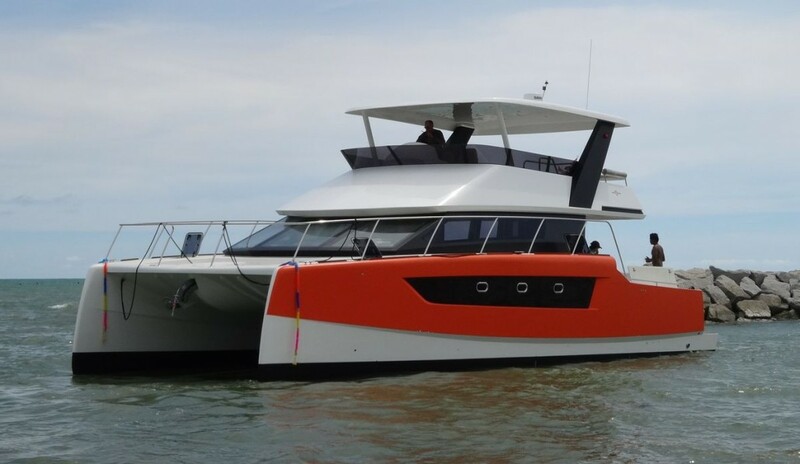 The First Happy Few who had the opportunity to discover her, feel extremely confident that this “newcomer” will be an eye catcher. Amazing space arrangement featuring the largest flybridge for a boat of its kind in the world. 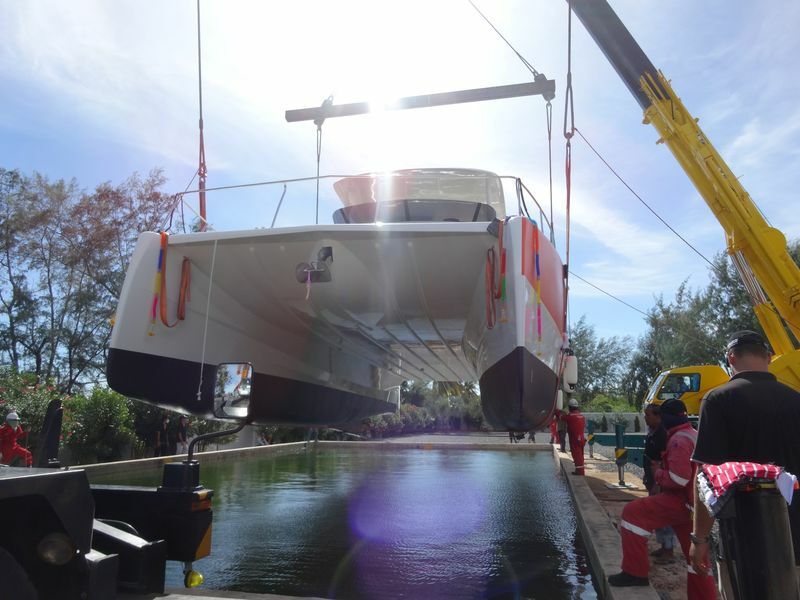 Graced with her elegant Latin design and thanks to her high speed displacement hull granting a vigorous pace.